Buckwheat is a squirrel you may have seen on the blog in the past. He’s made a few past appearances. 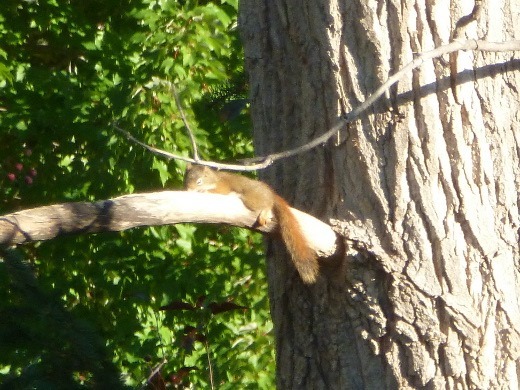 This chunky Ann Arbor squirrel can be seen lying on this tree branch in our back yard on an almost daily basis, at least during certain times of the year. This has occurred for at least the last couple years. We don’t know why he loves this spot so much, but it seems to be his favorite place in the world. And we are 99.9% sure it is the same squirrel who is always up there. 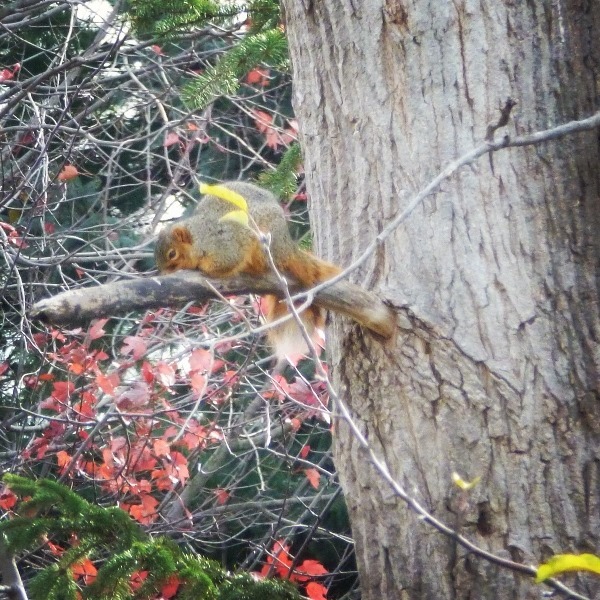 Recently, we’ve spotted a new squirrel frequenting the perch… a little guy! How adorable is he? We’ve given him the name Bucky, short for Buckwheat Junior. I wonder if they are related!? We’ve since spotted Buckwheat out there as well, but it seems Bucky is the new ruler of the branch roost. Pingback: Sweet Potato, Sausage, and Kale Soup | Meg.Goes.Nom.Nom.